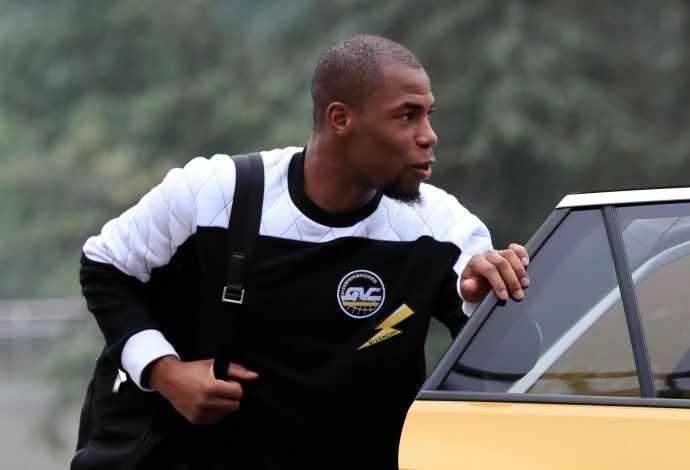 Manchester United appear to have suffered a setback in their pursuit of Monaco defender Djibril Sidibe. The fact that the Red Devils have encountered consistent issues on their defensive flanks is no secret, and former wingers Ashley Young and Antonio Valencia, both 32, being United’s primary full-backs only further reinforce their defensive problems. Moreover, United’s back-up options in the wide areas, viz. Daley Blind, Matteo Darmian, and Luke Shaw, are all expected to depart from Old Trafford this summer itself. Naturally, Jose Mourinho has been in the transfer market to bring in apt long-term replacements, and players like Danny Rose and Alex Sandro have already been linked with a move to the English giants. However, a new full-back has suddenly been touted to join the Mancunian outfit in recent weeks, as several sources have indicated that Monaco’s Djibril Sidibe is the newest player to land himself on United’s radar. In fact, France Football even went on to claim that the Reds were closing to finalising the 25-year-old’s transfer, with the player likely to complete the switch before the start of the 2018 World Cup. But now, contrary news has been revealed by Le10, as the French outlet has claimed that the Premier League giants may have hit a massive roadblock in their pursuit of the France international. The report states that Monaco are demanding way too much money for the player, who happens to be contracted with the Ligue 1 club until 2022. But United aren’t prepared to meet the gigantic price tag, despite their enormous financial coffers. Atletico Madrid have also been expressing their interest in Sidibe, and Monaco hope that the two European juggernauts will engage in a bidding war for the player, and lead his price up to £50m – the same amount Manchester City paid to sign Benjamin Mendy. This certainly comes as a setback for United, who now intend to withdraw their interest from the defender in the hopes of driving his price down and simultaneously search for alternative full-back targets.